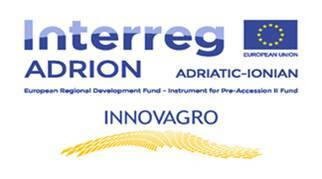 The ADRION area is characterized by low innovation performance, limited capacity of SMEs, inadequate cooperation among companies and research institutes, low synergies among agro-food and tourism sector and low implementation of environmentally - friendly farming practices. On the other hand, there are some strong points, such as the existence of quality agro-food products, the existence of a number of competitive and highly active research and innovation clusters, albeit with poor intraregional joint activities, and also the existence of RIS3, where transnational cooperation can focus on, in order to find solutions in the common problem of SMEs extroversion. The field is complex and requires much learning in terms of internationalization, access to market, financing, networking, innovation capacity, business transfer, entrepreneurship, cross - border & cross - sector co-operation, and environmentally - friendly farming practices . It also entails incorporation of new forms of SME development, such as design, eco-conception and corporate social responsibility. The project focuses on the development of links and synergies between farmers, agro-food enterprises, Research Institutes and Public Authorities, for a) the promotion of agro-food products' extroversion, b) the development of agro-food companies' internalization, and c) the promotion of environmentally - friendly farming practices. Project's main outputs are: 1) a Transnational Cooperation Network in agro-food & tourism sector & 2) a Virtual Transnational Business Innovation & Entrepreneurship Center (VIBIEC), offering support through e-incubators, e-business network platform, and other self-assessment tools. The main project's results are: a) the improvement of agrofood SMEs' productivity, competiveness and access to the international market, b) increasing the percentage of agrofood SMEs involved in networking, internalization and innovation process, c) strengthening the links between R&D Institutes, SMEs, and Regional & Local authorities in the field of innovative entrepreneurship and d) increasing the use of environment- friendly farming practices. Finally, the main project's beneficiaries are a) SMEs in the agrofood& tourism sector, b) farmers, c) business support organizations, d) R&D Institutes, and e) Regional & Local Authorities.